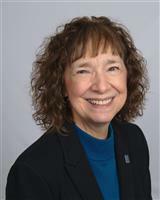 Karen Campo has been successfully selling real estate in Morris, Sussex and Warren County for over 30 years. This experience brings not only a wealth of knowledge to keep the process fun and exciting, but goes the distance in avoiding costly mistakes. Being highly knowledgeable in the interest rate highs and lows, houses increasing and declining in value, expertly riding the economic ups and downs, assures you will be in the best care with Karen through every market cycle. A residential real estate specialist and Certified Negotiator as well as A New Jersey Top Real Estate Agent, Karen Campo has been a 5 Star Award winner, North Central New Jersey Quarter Century achiever, consistent Million Dollar Producer and member of the RE/MAX Hall of Fame. terms and most ideal conditions, guaranteed. Likewise, Karen's VIP Seller Program guarantees a sale of tip top dollar in a reasonable amount of time. She would love the opportunity to discuss both of these programs and share some of her 30+ years of knowledge, so you can make educated and informed decisions regarding the who, how and why of home buying and selling. Karen guarantees satisfaction in writing and keeps the Campo Home Selling Team’s “Vision Statement” top of mind: “To be better tomorrow than we are today, to build a team that demands more of itself, to make real estate dreams realities.” She is proud to be part of the Campo Home Selling Team, a family business serving realty clients for 30 years. Go ahead call me NOW, I would love to hear from you!